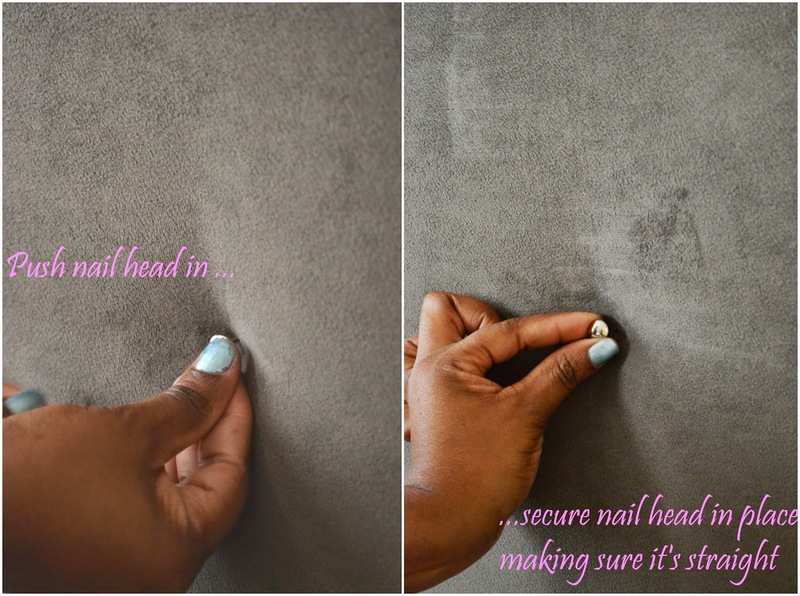 Small finishing details are like that finishing touch of lipstick on a woman. Though simple at times, details can give a room confidence in a way that adds life, warmth, personality and style. 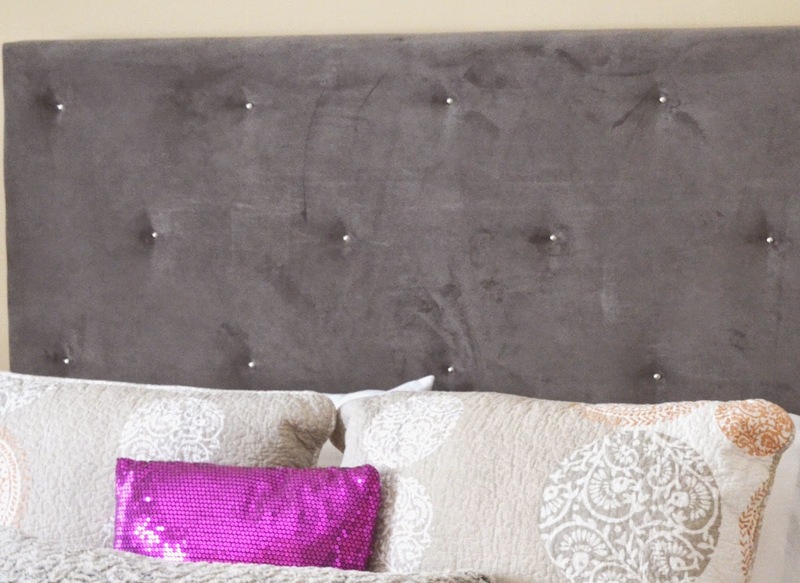 Take my West Elm headboard for instance which has been in my possession close to four years. For the longest time, I have been itching to do something that would bring some kind of life to it. Several weeks ago, I finally put my foot down and headed to my local craft store for some nail heads. 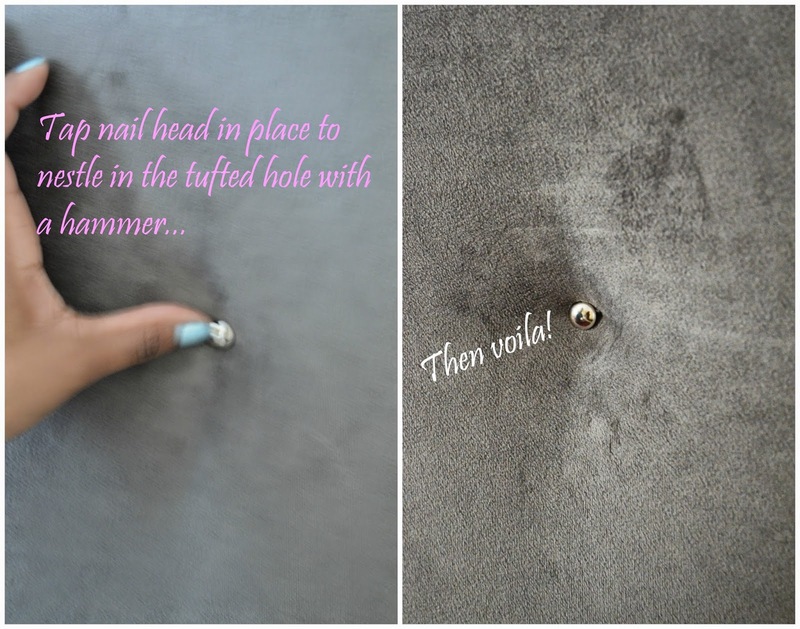 My initial desire was to add the silver nail heads around the edges of the headboard as a way to glam it up. Sadly as I started nailing them in, I soon realized that the little nails were too short to penetrate the thick foam of the upholstery - between the humidity and my disappointing failed attempt at my grandiose idea that day, I quickly shifted gear to the second option that I wasn't really completely sold on, but it was the only option I had left - and that was to nail the tacks inside the tufted indentations instead. 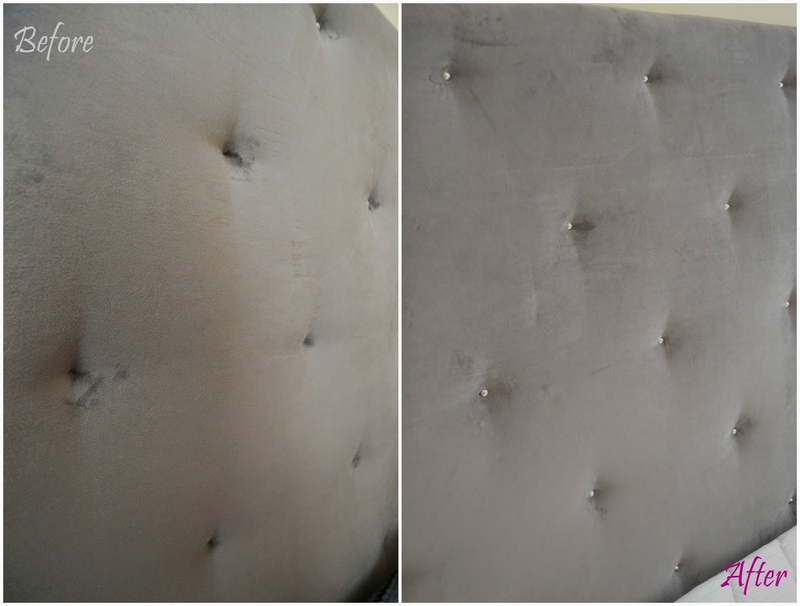 Surprisingly, just adding that small simple easy detail took the headboard to center stage as those silver nail heads served as a glistening accent against the neutral cashmere wall color in the room. 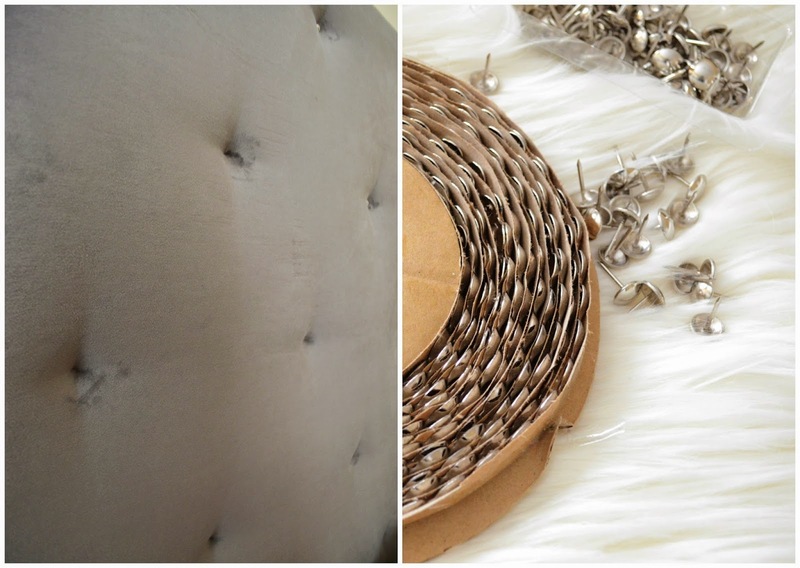 Accessories are essential to adding importance to a room.